I got my first real confirmation that my hearing was missing out when bird watching. A passerby asked me if I had noticed the goldcrests in some nearby scrub. I had not. "I can still hear them," he remarked as he walked on. I could not, though I quickly located them with my binoculars. They were only a few metres away, but I never got to hear them. Years later, I noticed other things – needing the TV turned up to levels uncomfortable for my wife, frequently asking people to repeat themselves – which prompted me to have my hearing professionally profiled. My hearing profile clearly showed that I had very little hearing capacity for the higher frequencies and I told the goldcrest story as anecdotal confirmation to Curtis. 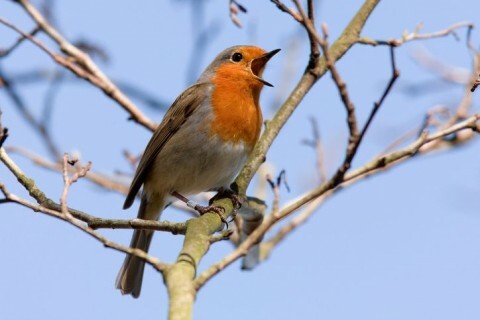 He played a recording of its song, and it is indeed high pitched - 4 kHz. Once I had received my new audifiers, I took them out for a trial in the countryside. No goldcrests about, but I heard a song I could not immediately recognise. It dawned on me that it was, in fact, one of the birds with which I am most familiar – a robin. The reason it had initially puzzled me was that I was hearing the upper registers of its song that I had been missing for years! Clearly, my new hearing devices were delivering real improvement, but one further tweak was needed. I regularly wake early and listen to the suite of Radio 4 programmes finishing with Tweet of the Day just before the start of the Today programme. Chris Watson's commentary was interesting, but I could not hear the firecrest he was talking about, even with my audifiers. Replaying the 'Tweet' on iPlayer later with Curtis, we discovered that the song was pitched at 6 kHz! He reprogrammed my audifiers to pull the firecrest into audibility and I now have an enhanced 'bird watching setting'.